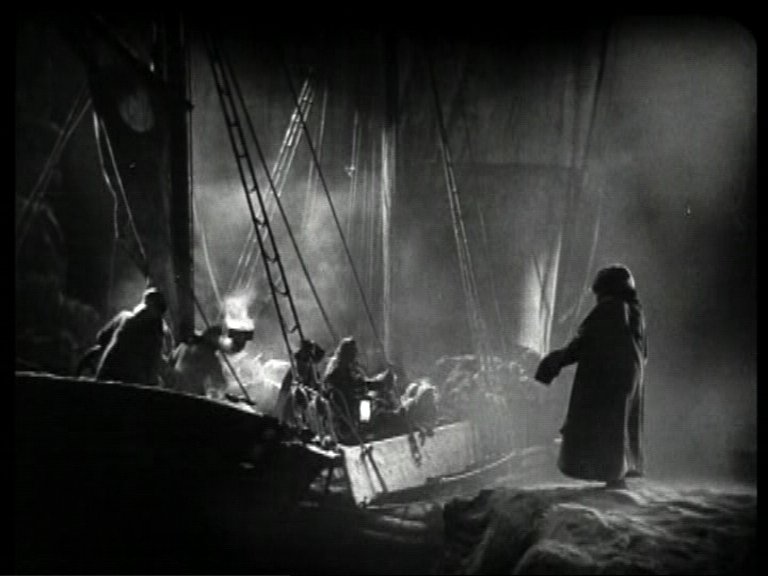 This entry was posted on October 9, 2010 at 12:26 pm and is filed under FILM, literature with tags A Pictorial History of Horror Movies, Conrad Veidt, Denis Gifford, Olga Baclanova, Paul Leni, Ray Bradbury, The Man Who Laughs, Victor Hugo. You can follow any responses to this entry through the RSS 2.0 feed. You can leave a response, or trackback from your own site. The only problem for the suspension of my disbelief: Veidt doesn’t have a convincing permanent smile carved into his face; his mouth is just stretched out with a giant pair of choppers. 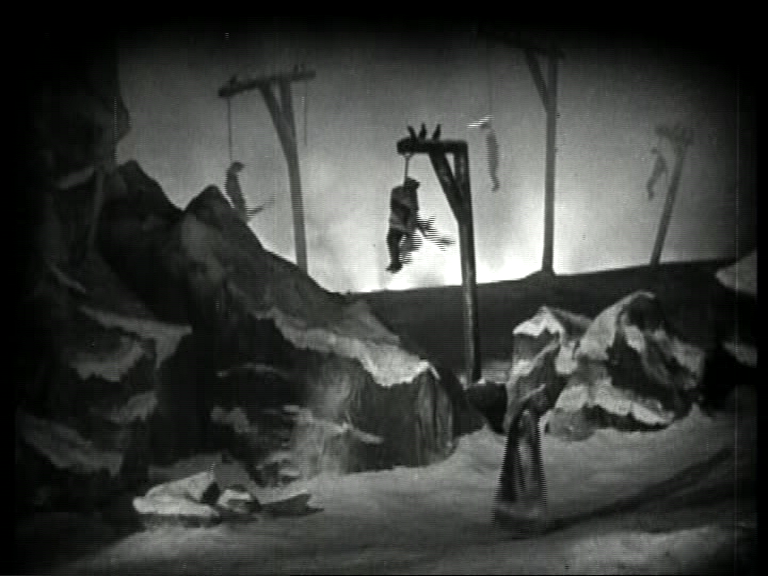 Otherwise, one of the summits of late silent film. Oh, I bought the smile. It’s better than Jack Nicholson’s Batman makeup, although admittedly Veidt doesn’t have to talk. Can’t get over how much Olga Baclanova looks like Madonna in this…I love Mary Philbin in this one..I like the images and music and sound effects in the opening scenes..creates a sort of bizarre artistic tension..I wasn’t expecting it to turn into so much of a romantic melodrama.I enjoyed it more the second time around…Some of the voices in the carnival scene are funny…oooo look it that elephant!”…Can’t imagine a movie like this being funded today..A trio of freaks for the leads..Smiley,Blindy and homo!..the wolf!…I do recall seeing a remake of this in the 60s tho..a foreign dubbed in english i think. Yes, there’s a 1966 Italian movie dubbed into English, with Jean Sorel and Edmund Purdom. They get the Borgias into it somehow too. Sergio Corbucci directed, before he got into his western phase. The opening scenes of this are so amazing — the king and jester creeping along that cave-like corridor, the iron maiden floating up (who would think of filming an IRON maiden like that? ), and the boy wandering through a landscape with gibbets instead of trees. The swashbuckling at the end is a bit of a letdown in comparison, but there’s a completely extraneous moment during the chase on the wharf — someone falls into the water and struggles out of it — when you feel like you’re looking at a Brueghel painting for about two seconds. Out of the good supporting cast, I particularly liked Brandon Hurst as Conrad Veidt’s evil doppelganger, a role usually filled by Conrad Veidt. I gather that Gwynplaine, at least, does die at the end of the novel. But in this case the Hollywood ending is probably the better one. One wants him to succeed… It’s even kind of disappointing that James II dies of presumably natural causes in between the prologue and the main story, because you’d like to see him get his comeuppance too. One third year student was very impressed with the way Homo deals with the jester. Just as He Who Gets Slapped draws a connection between the laugh of the clown and the roar of the lion, here we get another kind of smile: when Homo bares his teeth, it’s not in friendship! You’ve guseed right David C. The novel does have an unhappy ending just like the original events behind the climax of THE HEROES OF TELEMARK. Even more unhappily, the Germans had taken a wrong turn in their atomic researches and weren’t close to developing an A-bomb, making the heroes’ efforts redundant. La Reine Margot is the only Hugo adaptation I’ve seen to end with a proper Hugo-style massacre of 90% of the cast. The URL given by Christopher should work if copied-and-asted into the URI filed, as opposed to attempting to invoke it as a link per se. The site in question isn’t allowing deep-linking (absurdly called “hot-linking” by some) by other, unauthorized sites. Thanks! And there she is. This is a brilliant and gripping film…but whenever the dog ‘Homo’ came on, my partner and I fell on the floor laughing. “Homo! Homo! Come, my brave Homo!” It could be a Stonewall or ACT-UP rally. My students were terribly well-behaved, I must say. After telling them they might feel the need to laugh at the dog’s name, I cautioned them against the kind of laughter that expresses assumed superiority over the movie, but it may not have even been necessary because they were as good as gold. If we’re gay, aren’t we allowed to laugh? And surely Conrad Veidt, of all people, was in a position to warn them about the double meaning? According to Christopher Isherwood, he was the guest of honour at Berlin’s annual drag ball!